When you need a new hydraulic motor, Parker hydraulic motors Long Beach CA is a great place to start your search. With help from the experts at Bernell Hydraulics, you can comb through the Parker product catalogue to find the exact motor that will work best in your hydraulic application. By choosing Parker, you can usually get long life and quiet operation from your new motor. Parker hydraulic motors Long Beach CA can be a big investment, so you need to know you’re choosing the best possible contractor to provide your parts. 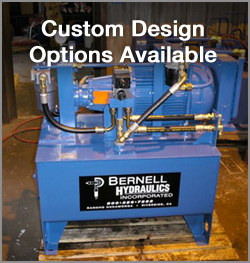 At Bernell Hydraulics, we are an authorized Parker parts distributor, so you know that we can provide top quality, factory-certified hydraulic motors for every application. Plus, we’ve been in the business of keeping hydraulic equipment in peak operating condition since 1977, so you know that we can install your new motor and service it regularly to help you get the most out of your investment.